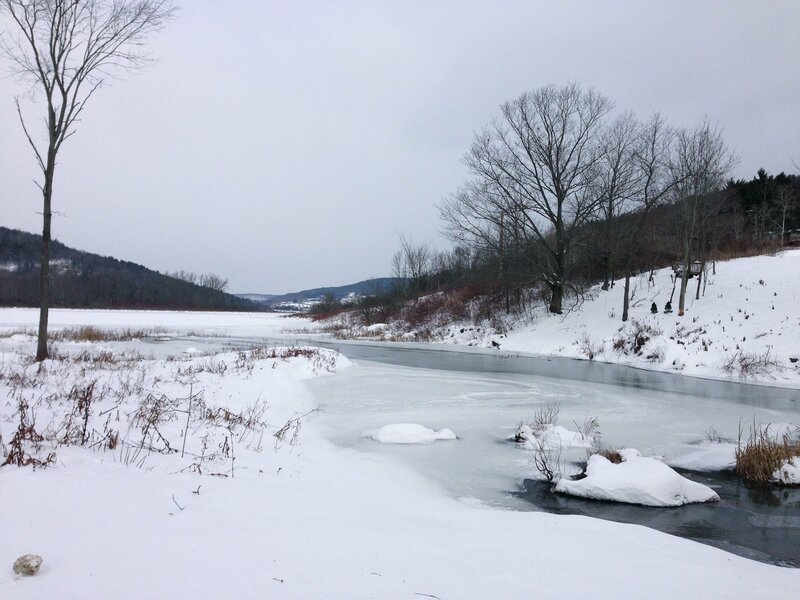 We said hello to 2013 at our off-the grid getaway in New York’s Schoharie Valley. We arrived to over a foot of newly fallen snow and a clear starry night illuminated by the full moon. Ice crystals sparkled like diamonds in the moonlit blue snow. The silhouette of tall pines and naked hardwood trees were black against the blue ice. 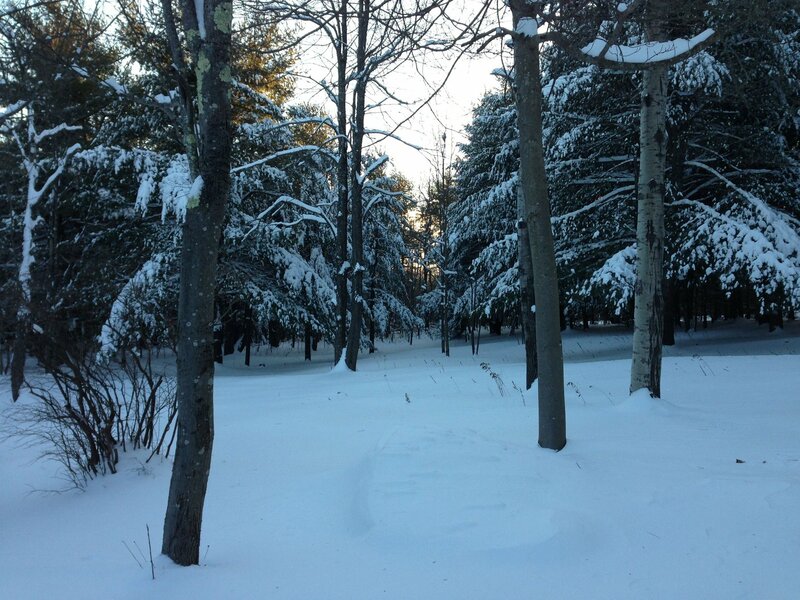 It was warming and invigorating to shovel the heavy snow into a lacework of paths that allowed us to access the firewood pile for heat and the hand pump well for water. 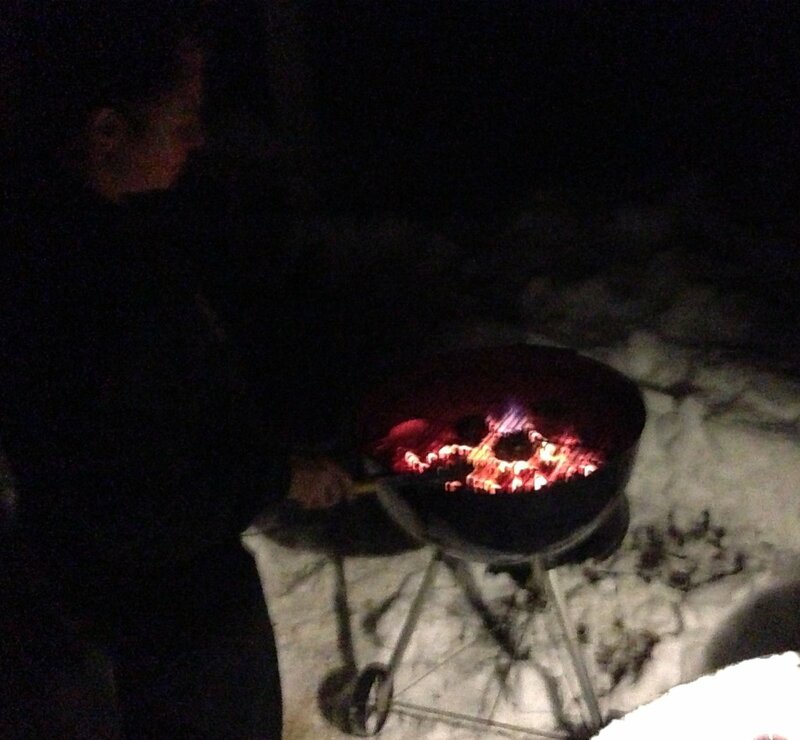 Since I’d left the charcoal grill out from last summer, I decided to use it to cook our New Year’s Eve dinner. I made a little path all around it, pushed the snow off the picnic table with my shovel and got ready to grill. 1 tsp smoked Spanish paprika – I like the Chiquilin brand. Whisk all ingredients together and marinate the meat for at least 2 hours. Grill it to your desired doneness. 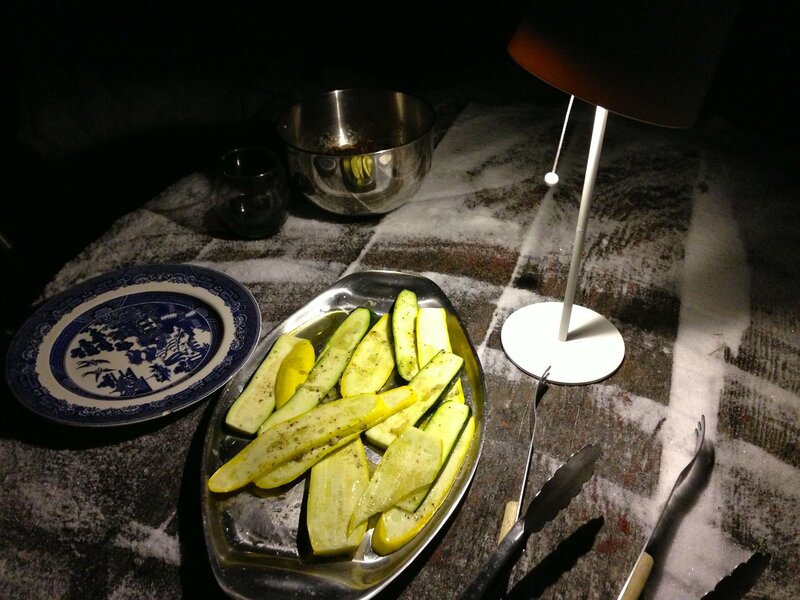 I also made grilled garlicky zucchini that reminded us of summer. Slice the squash length-wise as thinly as possible. Add finely chopped garlic, salt & black pepper and enough olive oil that the pieces of squash are coated all around. Let them sit while you fire up the grill to absorb the seasoning. Grill them until they are soft and have grill marks. This entry was posted in food and recipes and tagged grilling recipes, marinade for meat, marinated filet mignon recipe, schoharie county, winter grilling by ileana. Bookmark the permalink. What a lovely way to usher in the New Year. Glad you could get off the grid, dear Ileana, at that time of harmonic convergences! 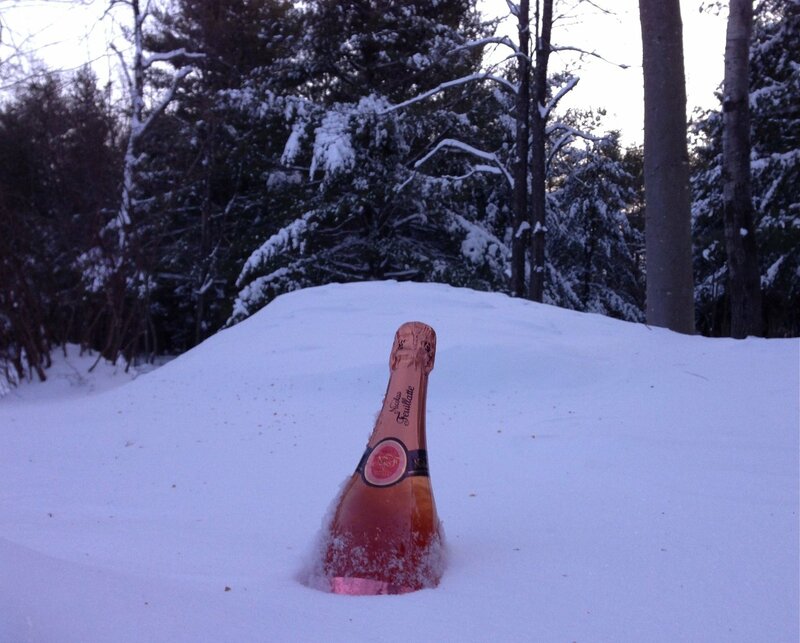 I was in rural Wisconsin under similar conditions, so I feel you! Now, pausing in the calm between semesters (in my own LES nest) to read, cook, re-imagine spaces, and nurture the inspiration to carry out my Resolutions. Happy Solstice-glow! Linda darling, Happy New Year. We have a wood stove for heat and when it is very cold we light a kerosene stove in addition. And wallpaper. Do you have off the grid?